Sometimes a water pump will lose power and fail to circulate coolant through the cooling system. A failed or underperforming water pump will cause the engine to overheat. Overheating can lead to serious engine damage like blown head gaskets. That’s why it’s important to diagnose a failing water pump and replace it (if necessary) as soon as you notice symptoms. The engine constantly running hot (according to the engine temperature gauge on your dash). The heater doesn't produce air as hot as it used to do. A whining sound coming from the engine bay (due to a loose water pump pulley). If you suspect that your water pump is going bad due to the symptoms listed above, then it’s worth taking an hour or two to confirm the issue. On the side of the water pump is a weep hole. If you see coolant leaking out of the weep hole, that means the shaft seal has begun to fail. This is an early warning indicator that the water pump doesn't have much longer to live. Check the ends of the water hoses for signs of leakage. If you find a leak, you may be able to tighten the existing hose clamp, or replace the clamp with a better one. 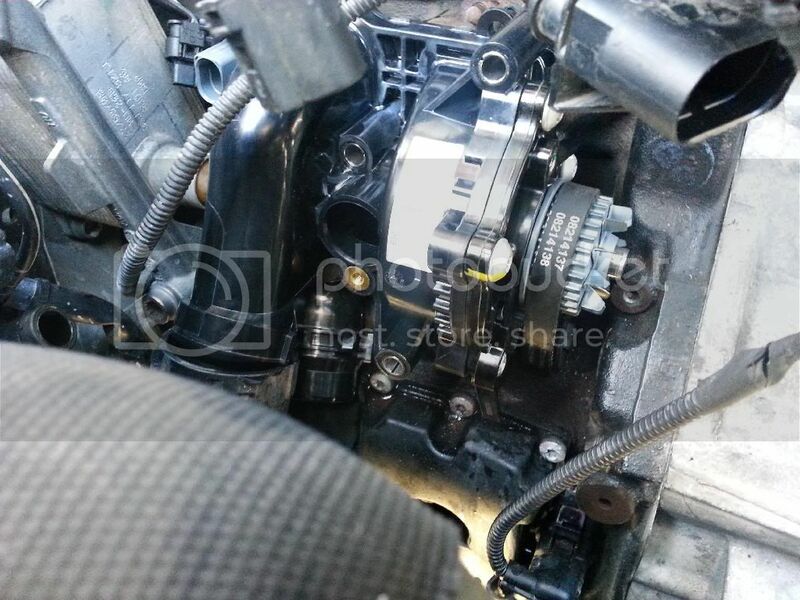 Also look at the area where the water pump mounts to the engine. Sometimes the gasket leaks. If the gasket is leaking, and you have to remove the pump to replace it, you might as well put a new pump on. Turn off your engine and then open the hood. Find the water pump pulley and wiggle it back and forth. The pulley shouldn’t move at all. So if it feels loose, the bearings have failed and the pump will need to be replaced. In a nutshell, the best way to determine that your water pump is going bad is to physically inspect it.